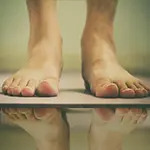 Flat feet (Pes Planus) is a term used to describe excessive “rolling in” or pronation of the feet either while standing or in motion. 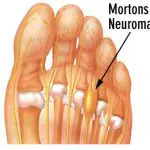 Mortons Neuroma (or neuritis) is the inflammation of a nerve that runs between the long bones in the ball of the foot..
Metatarsalgia is an umbrella term used to describe pain in the front of the foot. 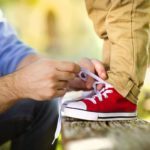 Achilles Tendonitis causes is inflammation and degeneration of the Achilles Tendon and affects the calf region of the leg. 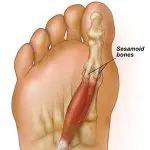 ‘Shin Splints’ or Medial Tibial Stress Syndrome (MTSS) is a condition whereby excessive stress on the shin bone..
Posterior Tibial Tendon Dysfunction (PTTD) is an overstretching of the Tibialis Posterior tendon in the foot. 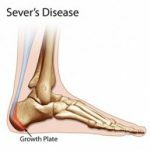 Severs Disease is a painful condition where the calf muscle/achilles tendon pulls away from the heel bone..
Ingrowing or “ingrown” toenails occur when the nail grows into the skin. 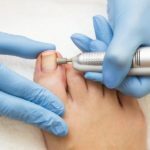 In a skin and nail treatment of your feet, we look at the condition of the skin and nails.